UNITED NATIONS, December 6 -- UN envoy Y.J. 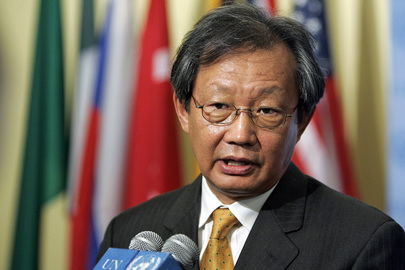 Choi has been forced to leave Cote d'Ivoire and is now in Nigeria, UN Security Council sources told Inner City Press on Monday afternoon in New York. Choi is scheduled to brief the Council on Tuesday, but for now it will not be from within the country. 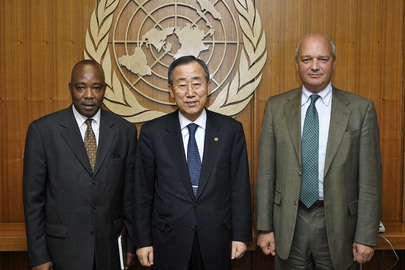 On December 3, after Choi opined that Ouattara was the winner of the election, Laurent Gbagbo's Ambassador to the UN threatened Choi with expulsion. That afternoon, the Security Council was unable to issue even a press statement. Multiple sources told Inner City Press that Russia demanded more time to check with Moscow before voting on the statement. On December 6, Chinese Ambassador Li Baodong told Inner City Press that China thinks that the two parties have to learn to share. 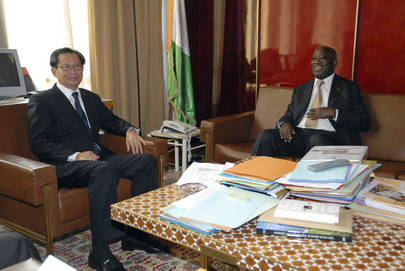 Now, Ouattara is saying he would name Gbagbo allies as his ministers. Still, Choi has been forced to leave. That the UN has said nothing, and the Council may not, is something new. Watch this site.